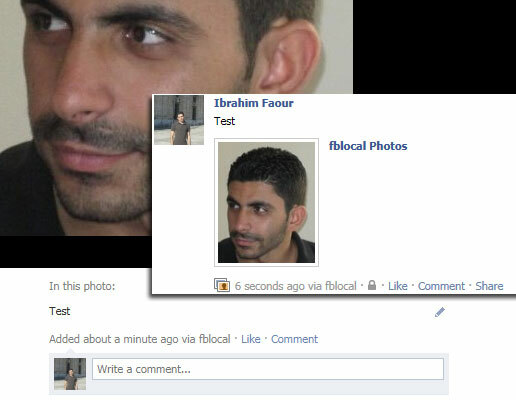 Uploading a photo to the user’s profile is an easy task using the Facebook Graph API. https://graph.facebook.com/USER_ID/photos – The photo will be published to an album created for your app. We automatically create an album for your app if it does not already exist. All photos uploaded this way will then be added to this same album. https://graph.facebook.com/ALBUM_ID/photos – The photo will be published to a specific, existing photo album, represented by the ALBUM_ID. when used on a live server! Please note that file upload snippet is for demonstration purpose only, you should NOT use it on live websites! Code was taken from my answer here. Is it possible to upload a photo to facebook that is already online. For example.. I have a photo gallery of people and I’d like them to be able to upload those photos directly from my site to facebook. Is that doable or do they have to download it to their computer first? Hello. Thanks so much for this script. I got a question… with this script, the user gets redirected to the $my_url adress, instead of being in facebook and uses de the app withing an iframe. And, how can I correct this? User upload from my website to my facebook fan page photo album (defined by me) instead of upload to users album. Is there any way to do that? I want users upload their photos to my fan page to make a contest with app. Maybe the big resource to that is, user post to my album and also post in their wall telling friends that they are in contest, with a link to their photo. Hi. Great tutorial, just like all your other ones on using the Facebook API. Keep up the good work. Thanks! how to read image properties like (url, likes) of facebook image id i get after uploading…? can i upload into fan page ? Can i have please this photo upload to friend wall script for asp.net C# site ?